If you read Motorcycle Consumer News in the USA or 2Wheels in Australia, you’ll know columnist Glynn Kerr. 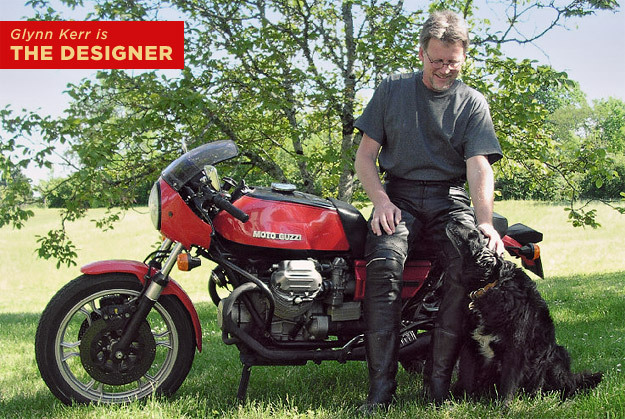 He’s one of the world’s most experienced motorcycle designers, and has worked on bikes as diverse as the Yamaha TDMs and Super Ténéré, the Voxan Scrambler and the Fischer MRX. A regular visitor to the studios of Ducati, Honda, Triumph and Harley-Davidson, Kerr is also the President of the Motorcycle Design Association. He currently rides a 1969 Moto Guzzi V7 Special, a 1972 V7 Sport, and a 2008 Ducati Multistrada 1100S. What was the first motorcycle you bought with your own money? A 4 year-old Suzuki A100, bought to take my test on in 1980. Two weeks later, I passed, and swapped my old Alfa Romeo for a Moto Guzzi 850 Le Mans. How I didn’t kill myself on that, I’ll never know. What do you think is the most beautiful production motorcycle ever built? How do you select just one—there are so many contenders. The Laverda 750 SFC maybe, but that’s just the era I relate to, and it was hardly volume production. Some of the most exciting bikes aren’t necessarily the most beautiful either. What motorcycle do you despise? I don’t despite any, but some make me cringe. The Bimota Mantra, for example, for wasting a great opportunity. Ditto for the first Morbidelli V8 by Pininfarina. Others should be given the “What Were They Smoking?” award, like the BMW R1200ST, the Husqvarna Mille 3 concept (below), or the Ariel Arrow. What is your idea of perfect happiness? What I have now, but with the time to enjoy it and without the fear of losing it. 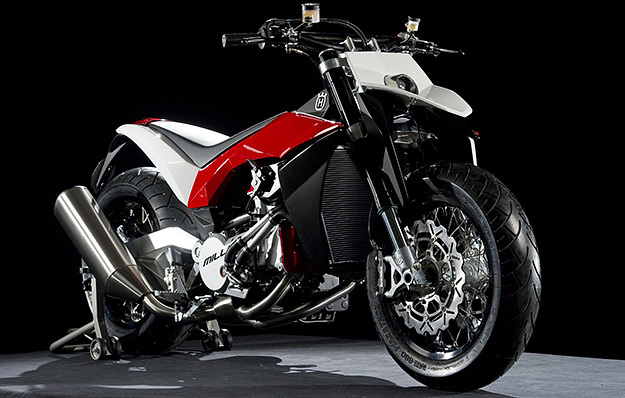 Electric motorcycles: Yes or No? Give it another few years, and there should be some interesting stuff out there. Anything that makes us less dependent on the Middle East has to be a good thing. Performance is already pretty good—range is the issue. But it will never be the same experience without all the drama of a great internal combustion engine. So ‘yes’ for the next generation, and probably ‘no thanks’ for mine. What is your favorite journey? I did some great tours when I lived in Europe. 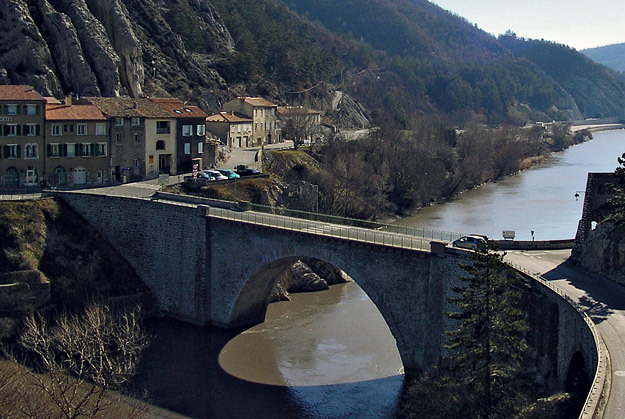 The Route Napoléon (below) down to the French Riviera; just about any of the mountain passes in the Alps; the Pyrenees from the Atlantic to the Mediterranean on the French side, then back on the Spanish. I would take a few days off, and just join together as many curves on the map as possible. There was rarely a specific destination. Which ‘everyday’ modern bikes do you think will become future classics? The equivalent of the Honda CB750 or Moto Guzzi V7 Sport, if you like? 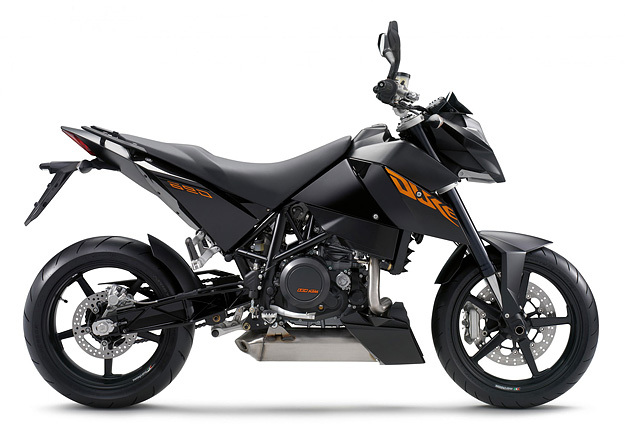 Proportions are everything, so I’d guess at the Yamaha FZ1, 2011 Triumph Speed Triple, Honda Hornet, Ducati Monster, KTM Duke (below) … But the two models you quoted were epoch-making. They arrived at a time when there were very few bikes of interest, and they changed the world. Now, there’s such a huge variety of really good models, it would be very difficult for an ‘everyday’ bike to stand out in the same way. Who are your real-life motorcycling heroes? Craig Vetter, for his business sense and doing things his own way. Tamburini for achieving near perfection in both engineering and aesthetics. John Surtees, for being the only person to have won both two-and four-wheel World Championships, and still being a thoroughly approachable bloke. But the greatest hero for me was a guy most readers have probably never heard of. 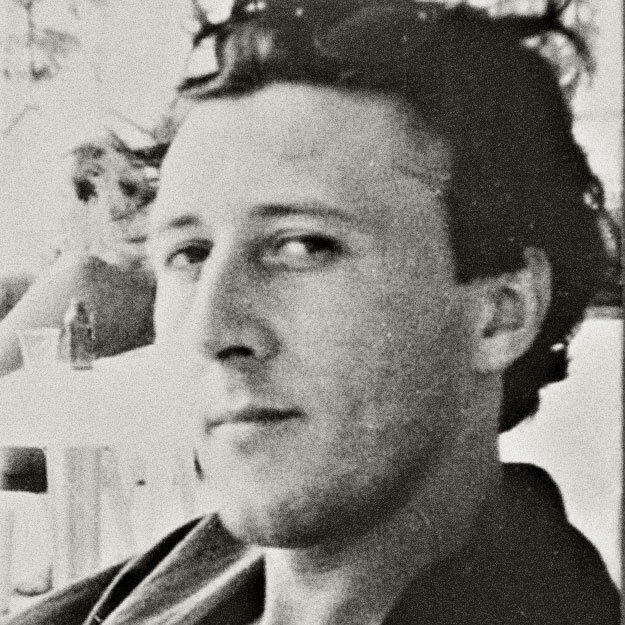 Pierlucio Tinazzi (below) was an Italian worker at the Mont Blanc tunnel. On March 24 1999, a truck burst into flames inside the tunnel, trapping many motorists. Tinazzi got on his motorcycle, and rode into the inferno. He rescued at least ten people, each time going back into the tunnel to help more. He was eventually incinerated by the 1,000+ degree heat that melted the frame of his bike. If anyone deserves a statue in his name, he’s the guy. Are you optimistic for the future of motorcycling? Bikes will continue to get better, but our freedom to enjoy them is gradually being diminished. What is your current state of mind? Almost sober.